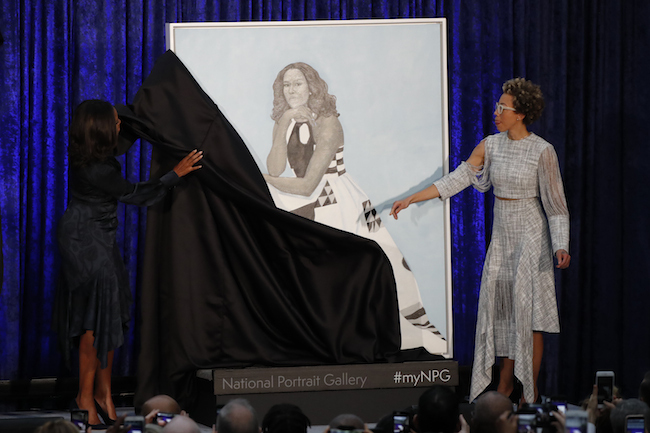 An official portrait of former first lady Michelle Obama was unveiled at the Smithsonian’s National Portrait Gallery Monday morning. “Let’s just start by saying, ‘Wow,’ again. Let me just take a minute. It’s amazing. Wow,” Obama said after the portrait was unveiled. The moment was met with a gasp and applause. 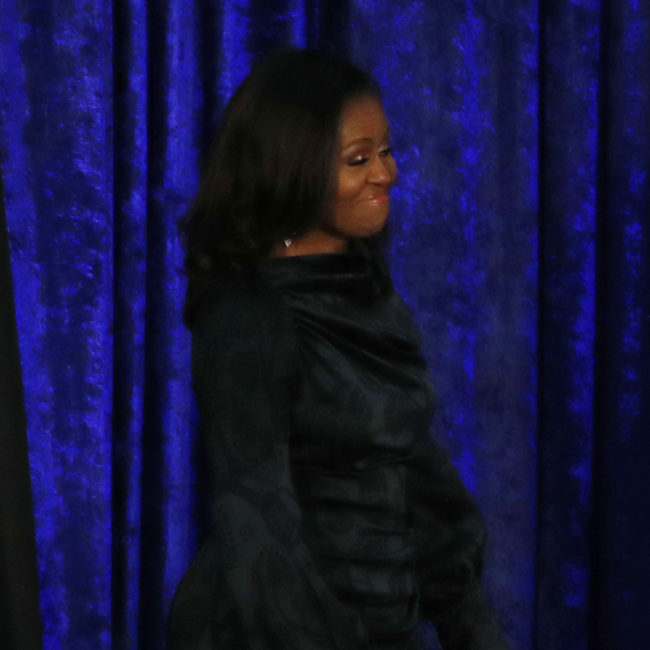 All presidents and first ladies have their portraits done and hung in the Portrait Gallery. Twitter users mocked the bizarre portraits. Who did the artist actually paint. 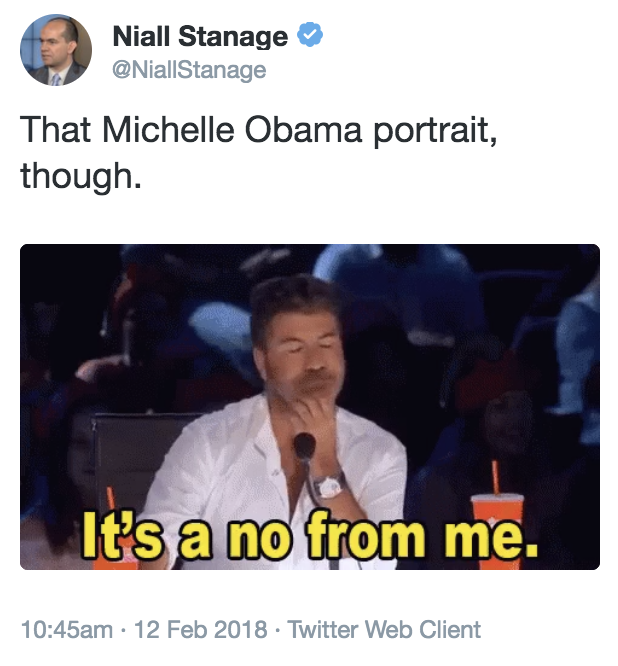 It damn sure wasn’t Michelle, I mean Michael. 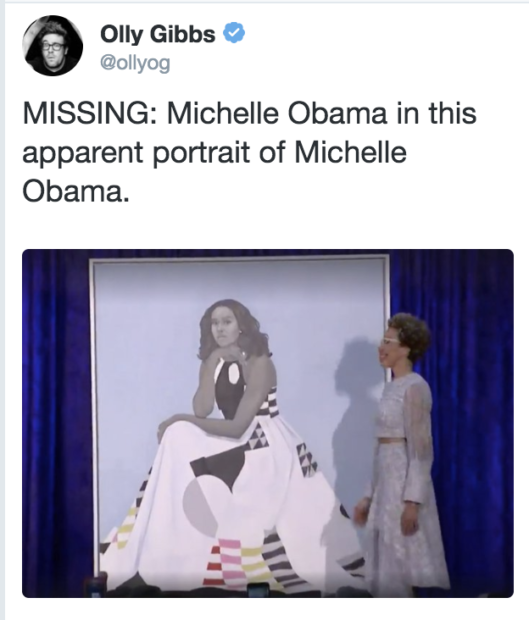 The portrait is a joke, just like her! LOL!